Starting this summer, visitors to the Institute of Contemporary Art will be able to take a water taxi across the harbor to the museum’s newest outpost: the Watershed, an artist’s project space in East Boston that opens to the public on July Fourth. The seasonal venue, housed in a converted copper-pipe and sheet-metal facility in the Boston Harbor Shipyard and Marina, will be free to the public, with water taxi service to and from the venue included with regular museum admission and free to ICA members and those 17 and younger. The Cambridge firm of Anmahian Winton Architects designed the renovation. The 15,000-square-foot Watershed will offer select artists the opportunity to create site-specific artworks in the industrial space, enabling them to create large-scale works that respond to the immediate environment and beyond. In addition to the main project area, the Watershed will also house an orientation gallery devoted to the shipyard, a flexible space for community gatherings and educational projects, and a small waterfront patio. The Watershed’s inaugural exhibition will showcase several works by video artist Diana Thater. 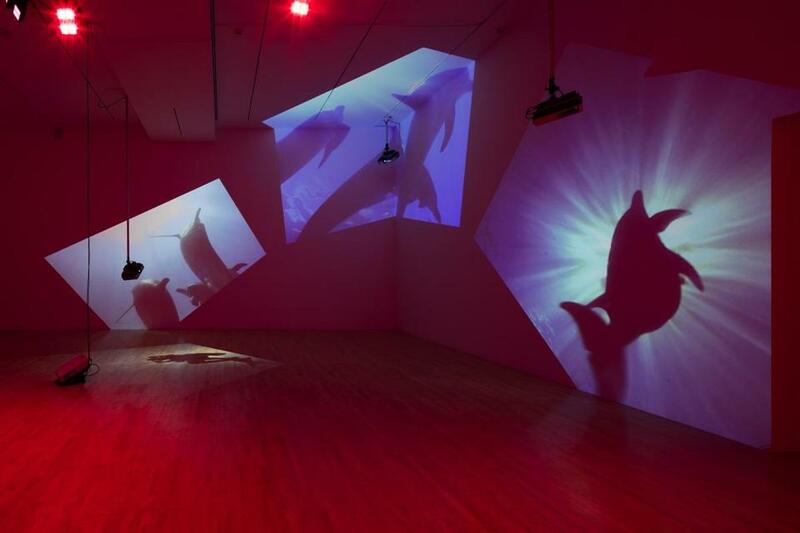 Among the works Thater will present is “Delphine,” which features underwater footage of dolphins projected across the project space. “Diana Thater’s strategies of intensified color and visually stunning moving images will offer visitors an extraordinary introduction to the Watershed and raise urgent questions about the impact of human intervention on the environment,” said Medvedow. The ICA is also working with several community groups to develop programming for the new space, which will be open this year through Oct 8. Starting in 2019, the Watershed will be open to the public on a seasonal basis from late May to early October.